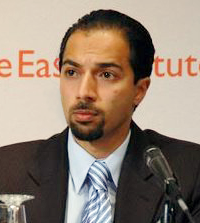 The Diplomat speaks with Trita Parsi, author of ‘Treacherous Alliance: The Secret Dealings of Iran, Israel and the United States,’ about Iran’s nuclear program, the P5+1 talks and U.S. diplomacy. Iran and the P5+1 (five permanent members of the U.N. Security Council plus Germany) met last weekend in Istanbul for the first time in fifteen months. What was the outcome of the session and how does this fit into the larger picture? While the bar was deliberately set low, the Istanbul talks went as well as they could: Both sides engaged sincerely, both agreed to a second meeting within five weeks, and both agreed on a framework for continued talks – the Nuclear Non-proliferation Treaty with all its rights and obligations. If the progress continues, all sides will credit their policies to this point – the U.S. will credit its sanctions, Israel its threats, and Iran its nuclear advancements. None will credit their concessions. But the reality is that progress was made in Istanbul precisely because of mutual concessions – the Iranians engaged on the nuclear issue without preconditions and agreed to a process to curb their enrichment, and the West in essence accepted that limited enrichment will continue on Iranian soil, under strict inspections. In your most recent book, Single Roll of the Dice, you wrote “Obama’s [initial] outreach to Iran was genuine but short-lived. It had to succeed immediately or not at all.” You go on to advocate having a sustained, ongoing dialogue that encompasses many issues besides the nuclear program. Is this what we are beginning to witness? As the talks continue, it’s important to expand the agenda to go beyond just the nuclear issue. While the nuclear issue is viewed as the most pressing issue in the West, it’s not the only issue of concern. The mistake of turning progress on the nuclear issue into a precondition for talks on other pressing matters shouldn’t be repeated. Regardless of the immediate results on the nuclear issue, the agenda should be expanded to include both regional security as well as the dire human rights situation in Iran. The real challenge will come in the ensuing rounds of talks, where these principles of engagement will have to translate into concrete steps. It’s at that point that we’ll see if the two sides are ready to pay the domestic political cost of compromise. This applies to the West as well, whose ability to lift sanctions will be as instrumental for keeping diplomacy alive as Iran’s willingness to curb its enrichment activities above five percent. But as far back as September of last year, you predicted that Iran would become a big issue in the 2012 U.S. presidential election. Subsequent events seem to have borne this out. Does President Obama have the maneuverability at home to sustain an ongoing, low-expectation dialogue? Is this following the now familiar scenario where when either Iran or the U.S. wants to compromise, the other side is temporarily unable too? It’s interesting to see that the elections have come to play a role different from what I had expected. Most analysts, myself included, believed that the elections would limit Obama’s flexibility and render a deal even more difficult. But the elections also seem to have had the opposite effect. They’ve created a strong and imminent interest in the White House to push down oil prices, since higher oil prices lead to higher gas prices, which in turn jeopardizes job creation. Getting the economy back on its feet is the most important variable that will make or break Obama’s reelection bid. By starting a diplomatic process, even one that doesn’t immediate bring about any results, two things are achieved: Oil prices will be pushed down and the risk of an Israeli military strike (which would cause oil prices to skyrocket) has been minimized. Domestic actors are of course only some of the parties that Obama will have to contend with. Other countries have large stakes and roles in this process as well. In SROTD, you recount then-Japanese Prime Minister Yukio Hatoyama’s unsuccessful effort to mediate between Washington and Tehran in late 2009. Now Hatoyama recently traveled to Iran to hold meetings with President Mahmoud Ahmadinejad and Iran’s foreign minister. Is Tokyo again trying its hand at mediation, or is Hatoyama acting on his own initiative? I’m not sure if this would be completely disconnected from the Japanese government. At the end of the day, Japan and several Asian states have a vested interest in resolving U.S.-Iran tensions because they are paying a high economic price for it. So it’s somewhat reasonable that these states would expend some political capitol to help avoid disaster. News reports and statements by senior U.S. officials suggest the Obama administration is placing a lot of emphasis on a recent speech Iranian Supreme Leader Ayatollah Ali Khamenei gave in which he denounced nuclear weapons as “a big sin” and said they are not in Iran’s security interests. Yet Khamenei has said similar things in the past. Why is the Obama administration taking so much from this most recent statement? It’s an interesting shift in strategy, which in turn seems to be born out of the clarification that the U.S.’s red line is “no nuclear weapons” rather than “no nuclear weapons capability.” A common area where the two sides’ bottom lines can be satisfied seems to be emerging – Iran doesn’t build nuclear weapons and agrees to limit its enrichment activities to below 5 percent under strict inspections, and the U.S. accepts that Tehran will have some enrichment activities on its own soil. By acknowledging that the Iranians themselves say that they aren’t seeking weapons, the focus is now shifting to how this promise can be translated into tangible measures – and verified as such. The U.S. wants a process that proves that Iranian words are matched by its deeds.